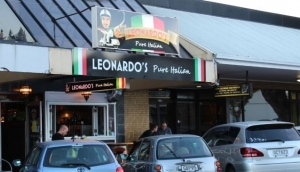 Most New Zealanders love a good Italian, and Rotorua is no exception. Italian Restaurants in Rotorua don't have the same wealth of choice as say Indian or Chinese, you'll still find some very good pizza and pasta here. Rotorua Italian Restaurants are small and intimate, so they're the perfect place to go to find some romance. Fenton Street has a great Italian cafe, while Amohia Street has a more expensive, fancy eatery, great for special occasions. There's also a big name pizza takeaway, and for some great pavement people watching, head to the CBD, where you can pick up pittas and pasta all day long. Like many restaurants in Rotorua, the décor in some places is simple and unfussy, but don't that fool you as to the quality of the food. Rotoruans love their Italian, so you'll be pleasantly surprised at the results.